My name is PopnLoch and I am team leader of Cybermob. We are a team focused on drifting and looking good while doing it. We have 5 members so far as we were previously invite only and we are looking to expand and acquire more members who are good at drifting RWD cars on all tracks. 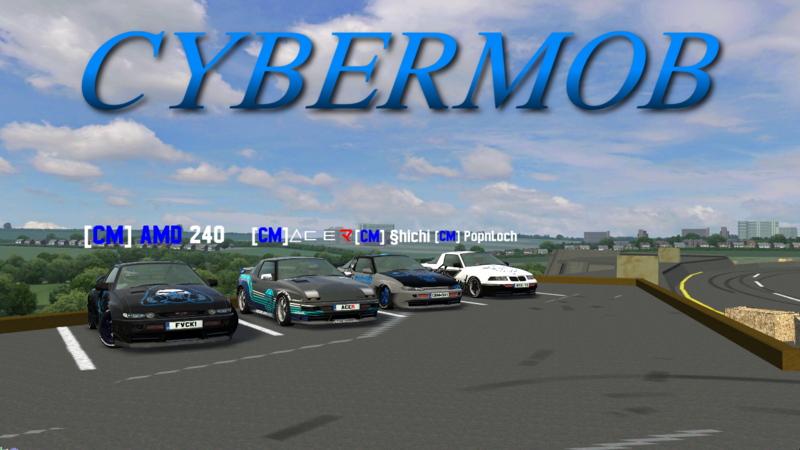 We currently have a [CM] Drift and [CM] Freestyle server which will include insims running on them in the following weeks, and we hope that you will come along and drift beside us and our community. We hope to provide a great environment to not only the community but future members as well. After signing up, be sure to join [CM] Freestyle and be apart of the fun! This may also solidify your chances of joining. • Age 16.5 gud enuf?